Update: Cobiathon is a go For March 23rd!!! 2019 Date set for March 23rd. 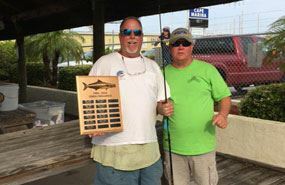 Every year CFOA and FSFA (CFOA's sister club) have a cobia tournament for friendly competition and bragging rights. There are virtually no rules other than a club member from either club must be on each boat. Heaviest fish will win a rod and reel combo. If no cobia are caught the heaviest kingfish will win. Updates: Check CFOA and FSFA Facebook pages for updates. 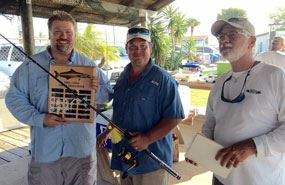 Heaviest Cobia wins a rod and reel combo. At least one member from FSFA or CFOA must be on the boat. Weigh In starts at 3 pm and ends at 5pm. If No Cobia are weighed the heaviest Kingfish will win. The Weigh in is held at Cape Marina. The hosting club will have a cookout starting at 3pm at Cape Marina. There will be food, drinks, fish weighed in, and lots of fishing talk! 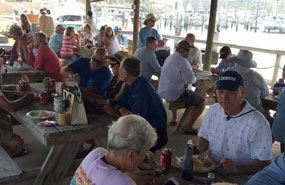 Even if you don't fish, come meet the members of the other club and have a great time while the anglers bring their catches in.